November is always a busy and interesting month. We begin with a baptism and confirmation service on November 1st, All Saints Day, and welcome the Bishop of Middleton as our president and preacher. Please hold the candidates in your prayers. Please make every effort to attend the services for All Saints Day and All Souls Day. By tradition, we put cards on the windowsills to remember those who we loved but see no more in this season of remembrance. This year we will be remembering, among others, the victims of the terrorist attack in Manchester in particular, and victims of war and atrocities across the world in what has been a frightening year in many ways. November used to be the time when we put on the pre-Christmas fair – selling jam, cake, gifts etc to raise money for church funds. Last year, after deciding that it was no longer possible to run such a large event, we held two Gift Day Sundays and raised more or less the same amount. So there will be two Sundays at the end of November where we will be handing out envelopes for gifts towards the work of this church. We hope that people appreciate the work of those with little money to give, who help to keep the church clean, tidy and in a good state of repair. A visit to the Diocesan website will show that the advert for a new incumbent for the parish has been added. The Parish Profile and a Person Specification and other details are there as well. The closing date is the end of November, and the diocese hopes to hold interviews for the post in early December. Other music: How can I keep from singing? 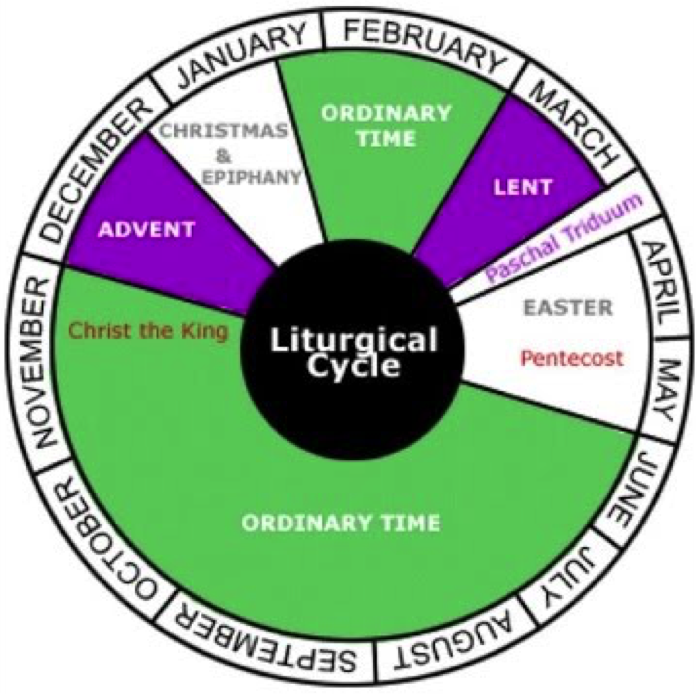 Week beginning November 20th is Autumn Cleaning time: all offers of help to get church polished and extra clean and tidy for the start of the new liturgical year, as we move into Advent. Please speak to Hilary for times and days! Reflections on Advent Themes in images, seasonal readings, prayer and discussion. 7.30 pm, beginning at Holy Innocents, then at St Chad’s. 2017-18 is Year B – the year of Mark’s Gospel, the Gospel of action!